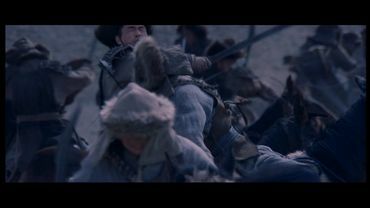 The UK-DVD by Cine Asia has been compared to the HK-DVD by Panorama. 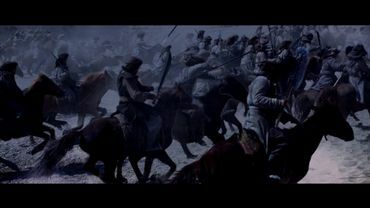 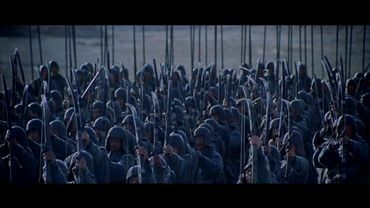 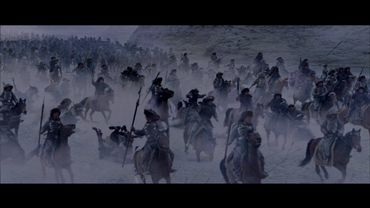 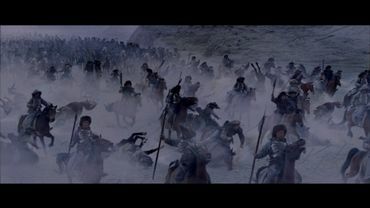 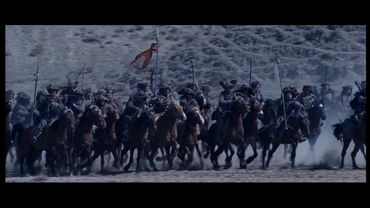 The Rouran stand at the border of the realm and the emperor orders the mobilization of the troops. 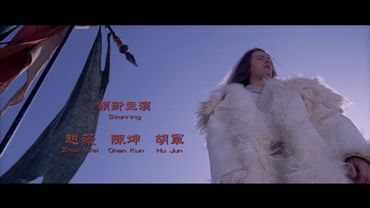 Old Hua Hu is getting ready to do his service again. 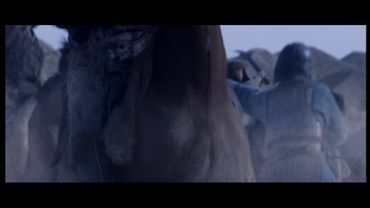 He has no son and, even though sick, wants to fulfill his duty this way. 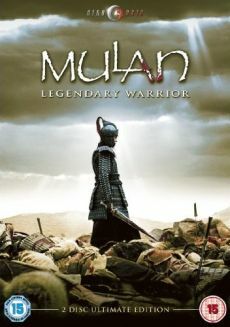 His daughter Mulan is worried about him and makes the decision to enter the army in place of her father. 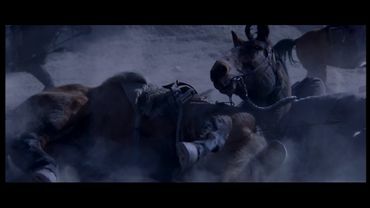 Due to the horses falling in the film, it had to be changed in three parts for the UK-release. 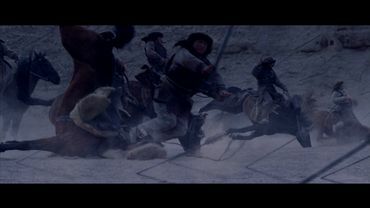 Showbox decided to replace the queried parts with different footage from the movie. 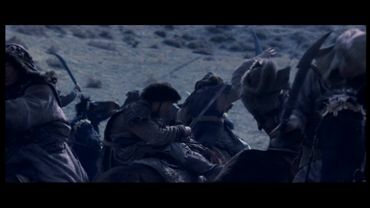 It is strange to see several scenes two or three times withing five minutes. 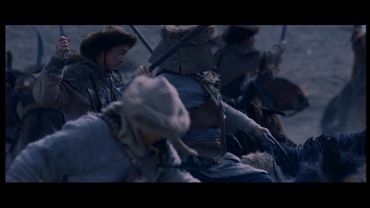 To make it easier to put the scenes in order, the last frame that is in sync in both versions is shown, too. 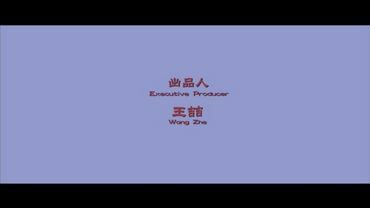 At the beginning of the UK-DVD, an overlay of the Film Bureau State Administration of Radio Film & TV takes place. 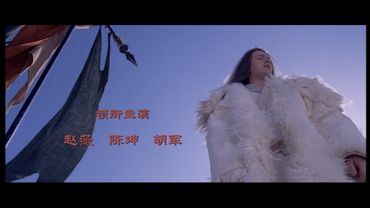 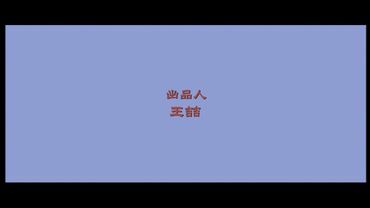 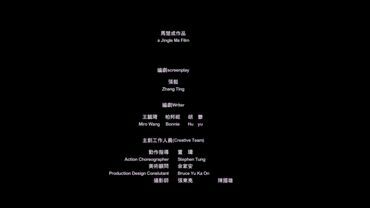 The overlays in the opening credits were translated in the HK-DVD. 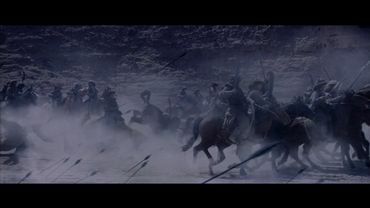 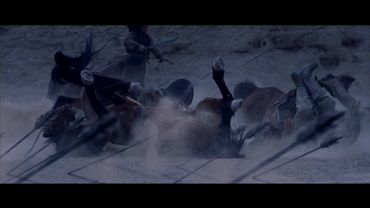 All the edits were made during the battle between the Rouran and Wei troops. 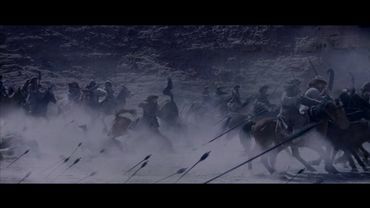 The Wei Army's archers test the range of their bows with a first volley and wait for any riding up Rourans. 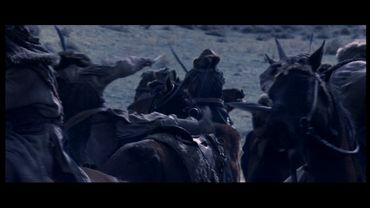 As soon as the equestrians are within their range the next volley follows and the falls that result from that were removed. 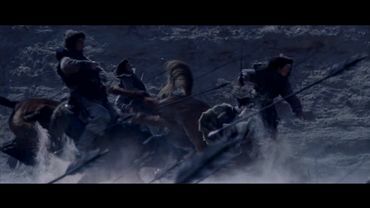 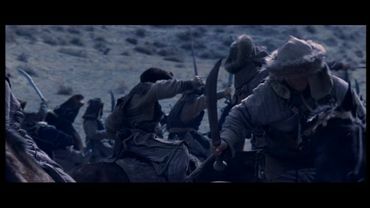 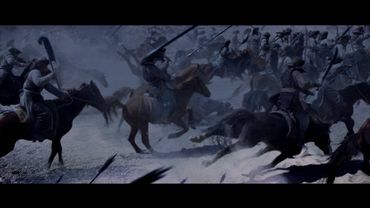 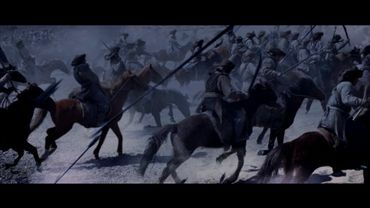 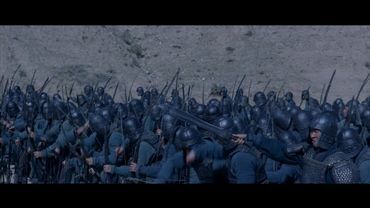 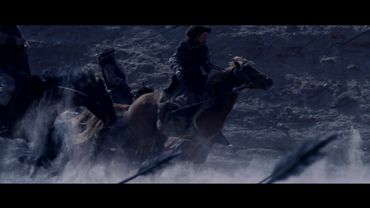 The scenes of the UK-DVD are here and in the following a mixture of the archers' hits when Mulan enters battle and the Rouran riding up. 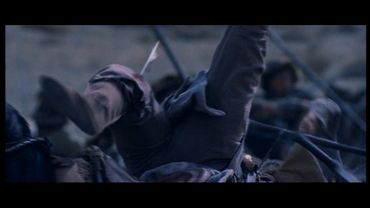 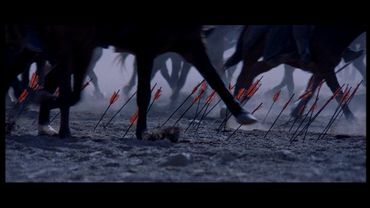 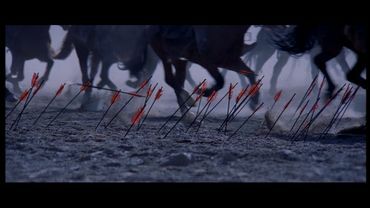 Both versions feature a short view to the archers and, caused by their next shots, more horses fall. 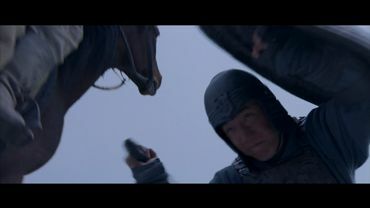 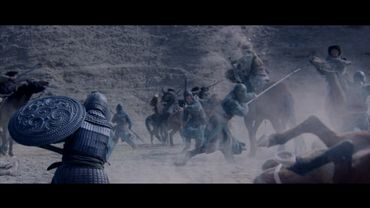 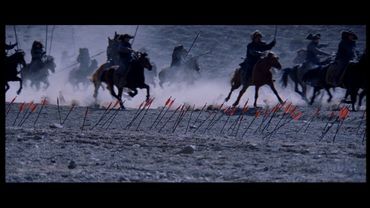 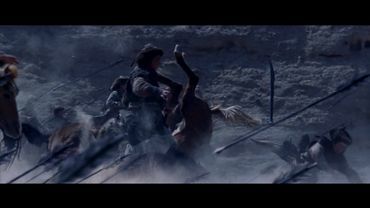 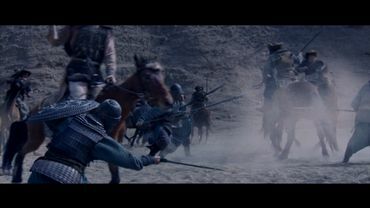 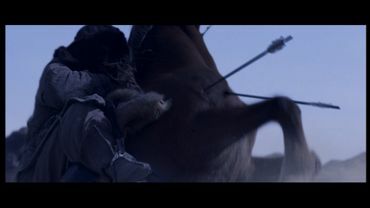 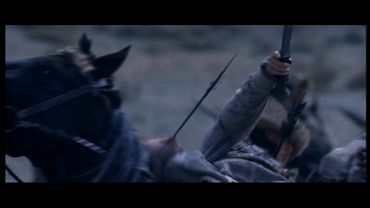 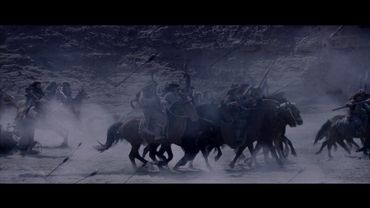 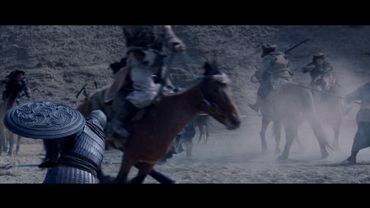 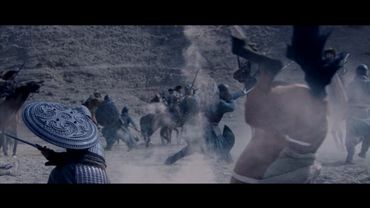 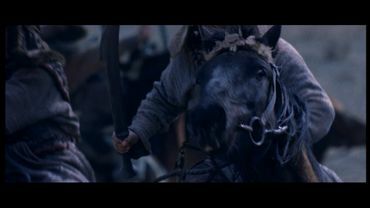 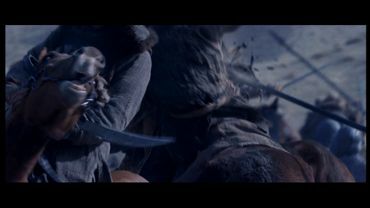 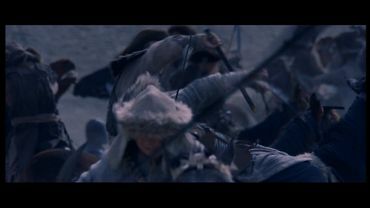 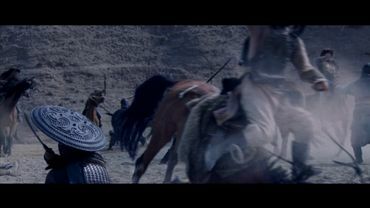 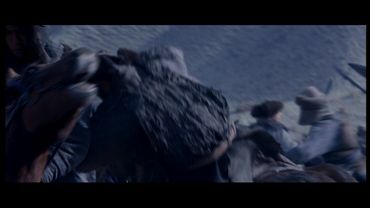 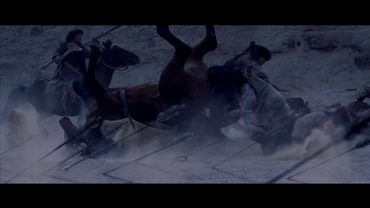 Tiger (Jaycee Chan) attacks one horse's legs during battle and makes it fall that way. 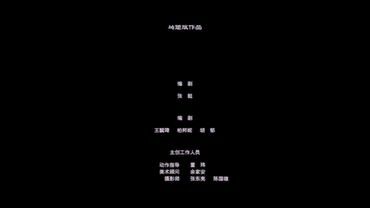 Analogous to the opening credits, the ending credits of the HK-DVD contain a translation of the graphic characters.